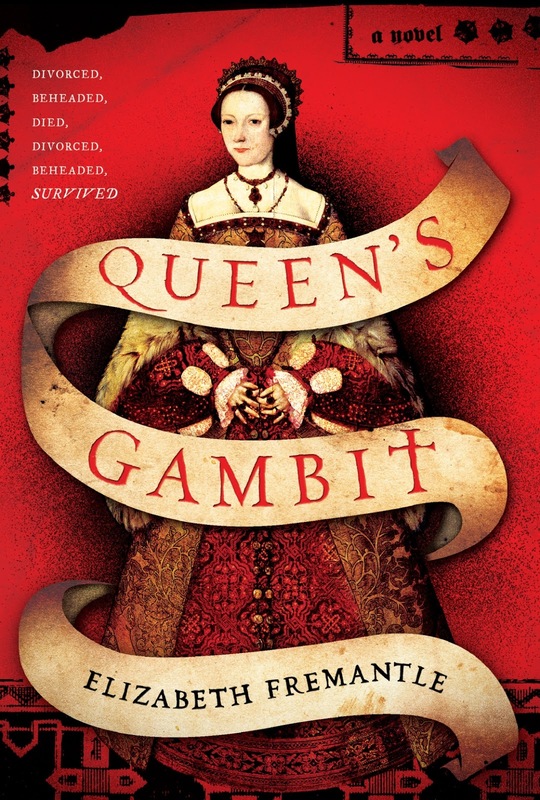 I'm delighted to welcome Elizabeth Fremantle, author of QUEEN'S GAMBIT, a sumptuous account of the life of Katherine Parr, sixth wife of Henry VIII who survived the murderous king and went on to endure an ill-fated marriage to Thomas Seymour. 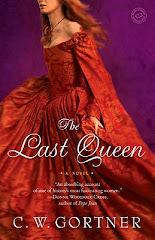 In Queen's Gambit, Kate Parr's story is entwined with that of Dorothy, or Dot, her maidservant, as well as several supporting characters, all of whom are complex and depicted as people whose very existence within the treacherous politics of court dictate both their behavior and their survival. 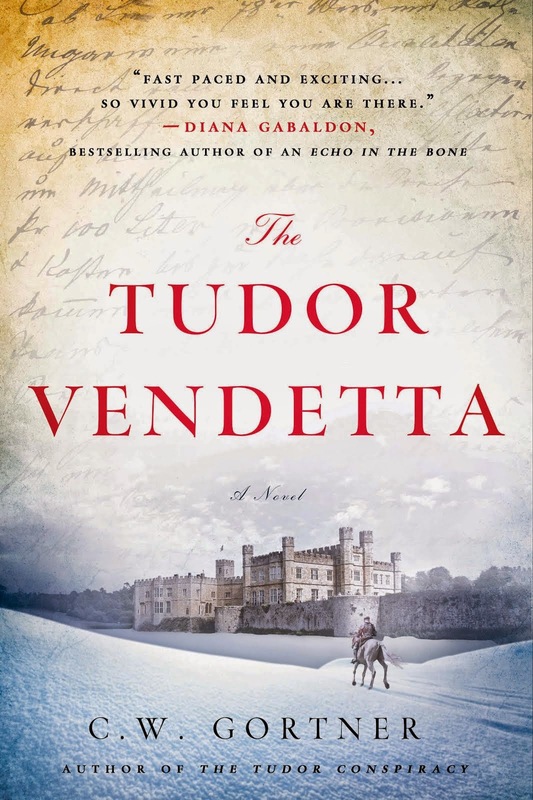 Kate's voice is compelling; a widow with a secret, she attracts the unwanted affections of the ailing king and must sacrifice her magnetic attraction to gorgeous Seymour in order to be queen, only to find herself plunged into an increasingly desperate gambit that requires all her courage and perseverance. 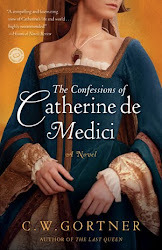 Her transformation into a crusader for the Reformed Faith at a time when Henry himself frowns upon it, having retreated into the solace of his Catholicism despite his break with Rome, pits the queen against enemies eager to see her fall. Witnessing her mistress's struggles while contending with her own, is Dot, who emerges as the novel's most engaging character, her wit and keen perspective on her role in the scheme of life at court lending her a unique voice that makes us truly care about what happens to her. Dot, in fact, ends up carrying the story, as Kate Parr becomes mired in her battles and unmitigated desire for Seymour. An adolescent Princess Elizabeth also makes several appearances, stealing the show, as usual, with her self-absorbed antics. I especially liked a scene when Dot overhears Elizabeth conversing rather carelessly with a bewildered Jane Grey. 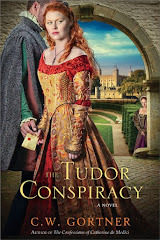 Tudor aficionados and those who love historical fiction will thoroughly enjoy Queen's Gambit; the inevitable comparisons to Hilary Mantel's work aside, this is by far a more accessible account of the Tudor court, written by an author who's mastered her craft and has deep respect for her subject matter. 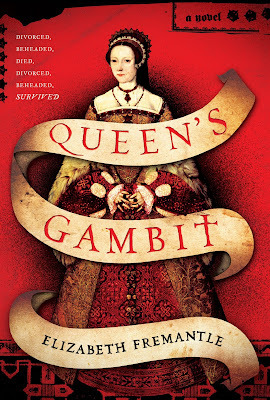 GIVEAWAY: Simon & Schuster is kindly offering one free copy of Queen's Gambit. To enter the giveaway contest, please add your comment below this post. Thanks and good luck! 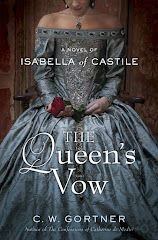 Now, please join me in welcoming Elizabeth Fremantle. I am often asked why I chose to write about Katherine Parr and it is true she seems one of the less interesting when compared to her more glamorous predecessors. But scratch the surface of her story and a dynamic, charismatic woman emerges. She may not have been born a princess to make a great alliance, nor did her life come to a truly dramatic climax with execution, but she was a highly intelligent well-loved woman and an astute political operator who understood how to play the game of power in a dissembling court, using her position to support religious reform at great personal cost. This is a woman who managed to out-fox her powerful adversaries and survive a plot on her life. She was an author too, publishing two books at a time when to publish at best risked ridicule and at worst might seriously compromise a woman’s virtue. She was clever enough to wait until after Henry’s death to publish her second book, a highly political and unashamedly reformist tome. She might not have become known as the wife who ‘survived’ had she not had the sense to wait. There is much to admire about Katherine Parr’s dynamism, intellect and ability to survive as well as the fact that she was married no less than four times. But one of the things that most appealed to me about her story was that she was also flawed. 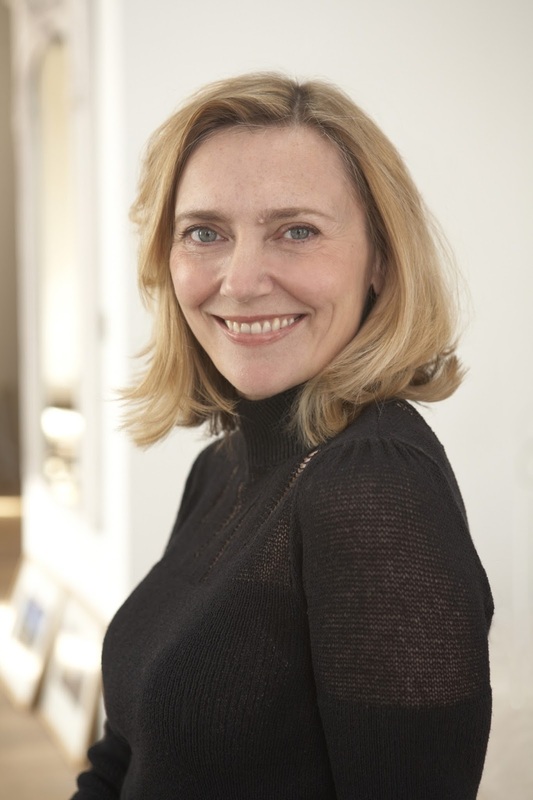 She made a disastrous decision in the name of misguided romance with devastating consequences, and it is this picture of a truly accomplished woman becoming a fool for love that fascinated me. The contradiction in her character makes her, for me, so very human and relatable to us today. Who doesn’t know of a clever woman who has fallen foul of romance? But my story is not just one of a remarkable queen. 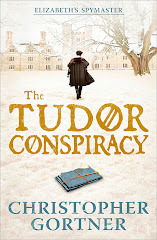 I was determined to explore another view of the Tudor court through the character of Dot. Dot, who serves as Katherine’s maid, is largely of my imagination. We know almost nothing about the woman Dorothy Fountain who served as maid to Katherine Parr’s stepdaughter Margaret Neville during her second marriage. We know she remained with the family serving Katherine Parr when she was Queen, that she was left four pounds a year in Margaret’s will and that she married a man named William Savage who might have been a musician. It is not much to go on and for the purposes of QUEEN’S GAMBIT I have made Dot lower born than she was likely to have been in reality, as I wanted to offer a different perspective on the court – a 'below stairs' view. I was keen to explore the kind of life an ordinary women like Dot might have had in the period. In the novel, she is visited by exceptional circumstances and comes to move in an elevated world, her experience of it is different to those born into the nobility. 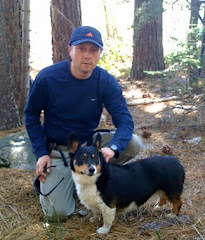 Dot gave me the chance to look at loyalty and true friendship between women, allowing me to show Katherine as a woman who was both loyal herself and inspired great loyalty, even in an uneducated young woman well beneath her in the social scale. Literacy and education was something entirely beyond such a woman’s reach and in Dot I wanted to imagine her as having an intellectual curiosity, striving to educate herself against the expectations of her age. As an adjunct to this I touch on the possibilities for social mobility that were beginning to open up (it must be said mostly for men) in the renaissance period. 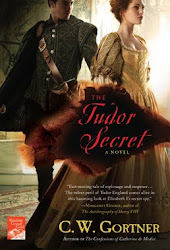 Through the eyes of these two women whose lives intersect and yet are so different, I hoped to convey something of what it was like to live in the court of history’s most notorious tyrant, Henry VIII.